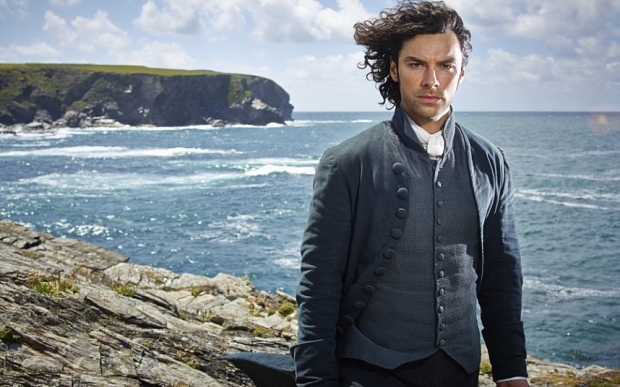 I am still so in love with the recent BBC adaptation of Poldark that I had a dream about it last night. 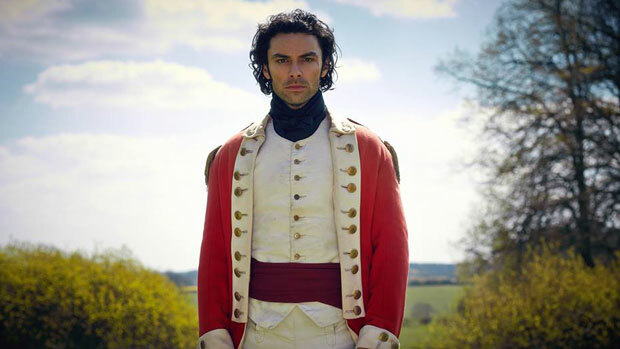 Not that I’m complaining, mind as after all, who wouldn’t want to have a period costumed Aidan Turner holding hands with them during the night? Exactly. In my dream I told him how he almost hit my husband with his bike on the Bristol Harbourside (true) and then I sat near him at the BFI Poldark screening but I was too scared to say hello (also true) and he put a finger on my lips and just said, ‘You’re so funny.’ It was beautiful. Sigh. Whereas we British types have been impatiently waiting for quite some time now for the next instalment after the first series ended with a literal cliffhanger, our friends across the Atlantic are still half way through series one so there’ll be no spoilers here, thank you! What there IS, however, is a brilliant competition to celebrate the launch of the very first BBC Radio Times Festival, which is going to be held at beautiful Hampton Court Palace this September and sounds absolutely amazing. Unfortunately I won’t be able to go as it’s a certain young man’s seventh birthday that weekend but it sounds amazing. There’s four days of brilliant sessions with the cast, writers and other people involved in some of the BBC’s best programmes and with such a huge variety to choose from, it’s probably no surprise that there really is something for everyone, from David Attenborough to Silent Witness to Candace Bushnell. Sci-fi fans will no doubt be excited to hear that there’s a Doctor Who panel with Peter Capaldi and Steven Moffat, while for we Tudor history fans there’s a whole plethora of treats to choose from, with highlights including Peter Kosminsky talking about adapting Wolf Hall for television, Tracy Borman talking about the real Thomas Cromwell and also giving a Wolf Hall themed tour of Hampton Court Palace and Philippa Gregory will be there to talk about her upcoming novel about Catherine Parr. There’s also going to be talks by Simon Schama and Andrew Marr and, oh crikey, lots and lots more besides. For historical costume drama fans there’s also sessions with the writers, production teams and cast members of the completely amazing Peaky Blinders, Call the Midwife, Endeavour and Grantchester. 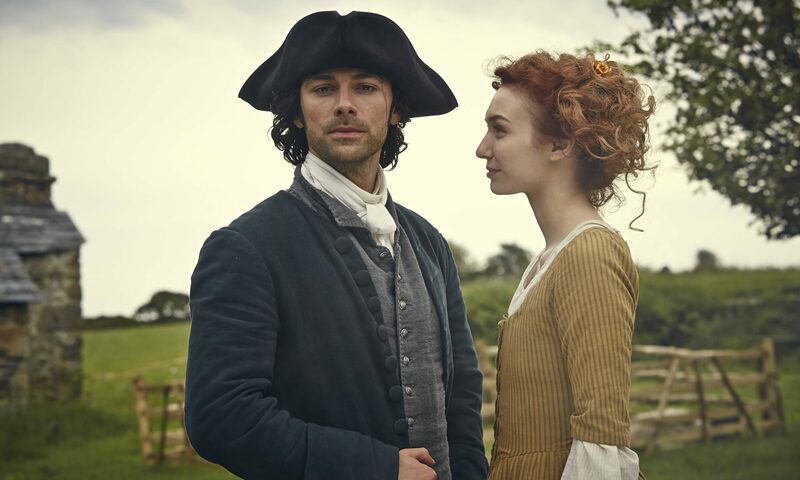 However, I think one of the most popular sessions will be a panel devoted to Poldark, where the executive producers and writer will be joined by leading cast members (ooooh!) and Winston Graham’s son Andrew to discuss the process of transforming the original novels into an enormously successful and already much loved television series. It’s going to be amazing and will almost certainly sell out closer to the date – which is fine because I HAVE A PAIR OF TICKETS TO GIVE AWAY RIGHT HERE. Yes, that’s right. The cast members appearing on the panel have yet to be confirmed but who amongst us is going to pass up a golden opportunity to be in the same room as Aidan Turner? That’s right. NONE OF US. All you need to do to be in with a chance of winning a pair of tickets to the Making of Poldark session on Sunday 27 September at the BBC Radio Times Festival at Hampton Court is follow the instructions in the Rafflecopter below. The tickets will gain you and a chum entry to the festival ground, where there will be a festival bookshop, food village, free exhibits and ‘boutique exhibitors’ for you to enjoy. There will also be over seventy more sessions that you can book into over the course of the weekend – the sessions on the Sunday include talks by Dom Joly, Mark Billingham, David Walliams, the team behind Grantchester, Aardman, Strictly Come Dancing, Melvyn Bragg and Anthony Horowitz so there’s lots to choose from.